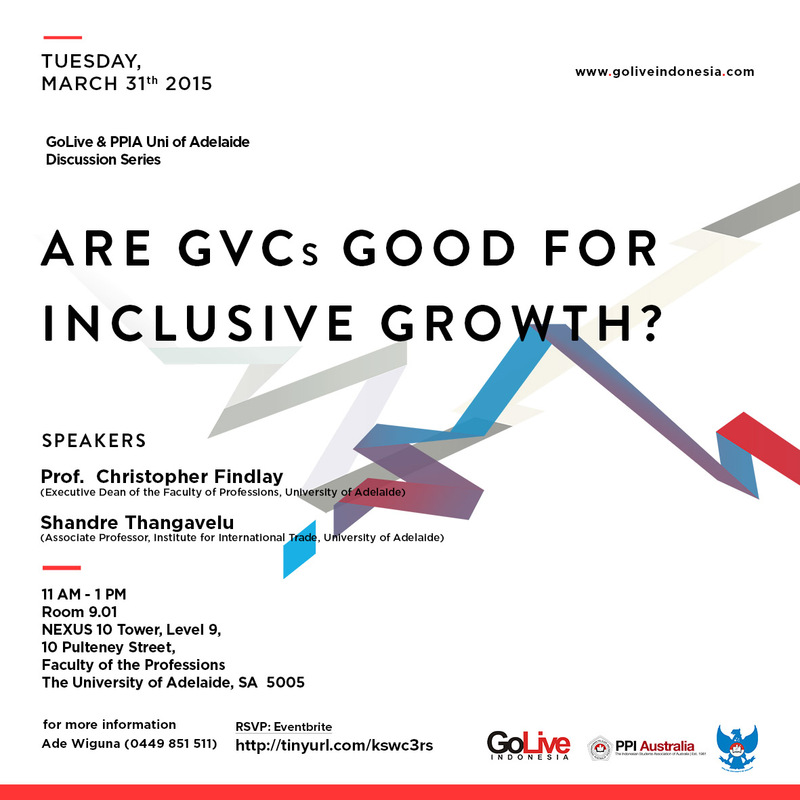 GoLive Indonesia cordially invite you to our second Discussion Series in 2015 : “Are GVCs good for inclusive growth?”. We are very proud to present to you a very distinguish panel from the Faculty of the Professions and Institute for International Trade of the University of Adelaide: Prof. Christopher Findlay and Associate Professor Shandre Thangavelu on Tuesday 31 March, 2015. Limited seats are available, come grab yours now!